Bragg Creek, AB – We’ve been waiting all year and it’s finally here! 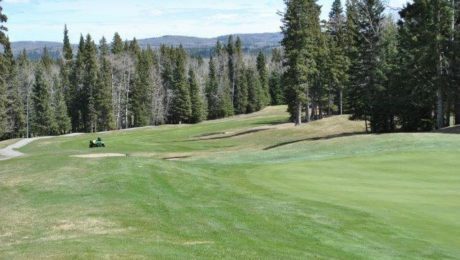 In the foothills of the Rockies and just a few minutes from Calgary city limits, Wintergreen is opening this Friday, May 5th and invites golfers to experience the beauty and serenity of playing some of Calgary’s best golf, surrounded by nature. Enjoy spectacular vistas of the surrounding foothills. The course will be in great shape for opening day and the weather is looking great for your first rounds this year. We will have all greens open and they have been already cut twice, ready for your putting enjoyment. Guest testimonial – “I’m always impressed by the staff and incredible care for the course” Stephanie J. 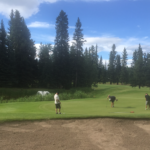 Call 403-949-3333 to book your tee time now – early season special rates are in effect! 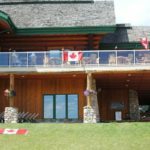 Our wrap around outdoor patio offers great views of the course, have a drink after your round or join us for breakfast, lunch or dinner during the golf season – public are always welcome! More info. Wintergreen Golf and Country Club allows for a perfect balance between the peaceful solitude of the foothills and the convenience of a city-area golf course. From the moment your group arrives, you are invited to enjoy the relaxed country atmosphere and impressive facilities that define the spirit of Wintergreen. We can accommodate groups anywhere from 12 – 144 golfers. More info. About Wintergreen Golf & Country Club and Resorts of the Canadian Rockies Inc.
Wintergreen Golf & Country Club www.wintergreengolf.com is part of the Resorts of the Canadian Rockies Inc. (RCR) family. Proudly Canadian, Resorts of the Canadian Rockies Inc. (RCR) is the largest private ski resort owner/operator in North America, owning six ski resorts across Canada, including Nakiska Ski Area in Alberta; Fernie Alpine Resort, Kicking Horse Mountain Resort and Kimberley Alpine Resort in British Columbia. 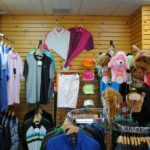 RCR also owns and manages a number of hotels and golf courses, including Trickle Creek in Kimberley, and Wintergreen Golf and Country Club in Bragg Creek. RCR aims to provide each and every guest The Ultimate Experience. Purchase their green fee vouchers in blocks of 8 at a great price and enjoy extra benefits all season long! Green fee vouchers are good for one 18-hole round of golf any time during the 2015 season and full use of Wintergreen’s extensive practice facilities. There are no date or time restrictions on when you can use your vouchers. 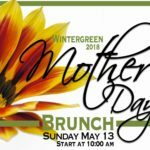 All you have to do is call the course, book a tee time, and enjoy all that Wintergreen has to offer! More information.